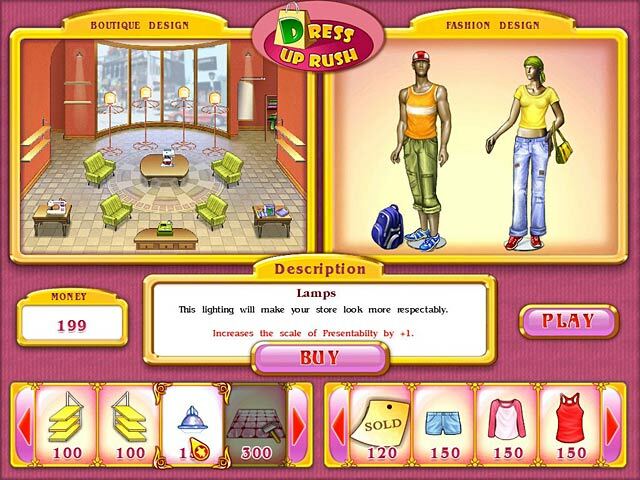 Build a name for Jane in the fashion biz by running a stylish clothing boutique in this Time Management venture.Run a stylish fashion boutique.Imagine running your own fashion boutique with cozy chairs, hot coffee, and ambient music. Meet Jane, a savvy fashionista, determined to make a name for herself in the fashion biz. Start small and provide top-notch service to clients – then upgrade your boutique with more fitting rooms, a sleeker design, and a fat cash register. 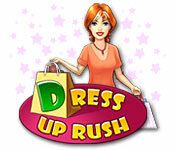 Sell the hottest collections and offer 130 distinct clothing options to customers. Can Jane manage the Dress Up Rush in this Time Management venture?